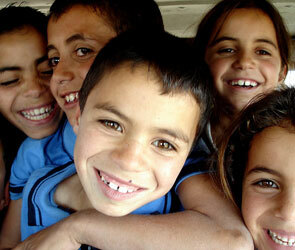 Today, the situation of children’s rights in Israel remains problematic. If some progress had been observed since the creation of the State of Israel in 1948, the Committee on the Rights of the Child estimates that “there is a lot left to do”, mostly regarding migrant children and those of minority groups in Israeli society. The persistent conflict between Israel and Palestine has undeniable consequences on children’s rights in Israel (right to life, right to protection, etc. ), but also in Palestine where the Israeli occupation regime has some dramatic repercussions. The rights of Palestinian children are violated on a daily basis, mostly by the Israeli armed forces and colonels. (Also see: Children of Palestine). The State of Israel is responsible for the proper application of the International Convention on the Rights of the Child (CRC) in Israel and in the Palestinian territories that it has occupied since 1967 (occupied Palestinian territories, OPT). In fact, according to the International Court of Justice, as the occupying power, Israel is responsible for human rights in Palestine. Even though, it refuses to recognize this obligation. The Committee on the Rights of the Child, in its last report on Israel, seemed concerned about the frequent discrimination reported against Palestinian, Israeli-Arab, Bedouin, and Ethiopian children or also by children of migrant workers and people asking for refuge. 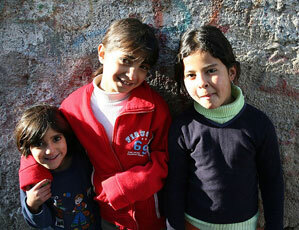 It has been estimated that around a fourth of the Israeli population suffers from poverty. 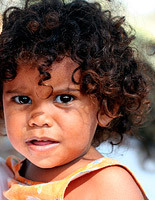 One out of three children would live in precarious conditions and suffer from malnutrition; and the numbers are rising. 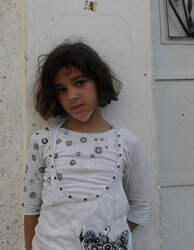 The most affected are children from ethnic minority groups such as the Bedouins. Legally, the right to healthcare is guaranteed for Israeli children and the quality of the healthcare system is good. However, children from vulnerable or minority groups don’t benefit from an equal access to these services. 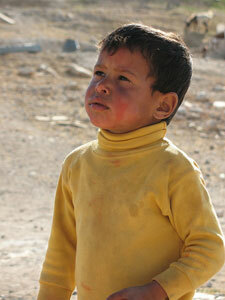 A high mortality rate of Bedouin children from not recognized by Israel villages has been deplored. In Negev, many children do not have access to enough drinking water. In addition, hospitals face a lack of Arabic speaking staff which discriminates the Arab Israeli population and complicates their care, even if, according to the law, they should benefit from the same rights as Jewish Israelis. In Israel, school attendance is required until 11 years old and is free for all children between 5 and 16 years old. Hebrew and Arabic are the two official languages in Israel. However, Arab children and Jewish children study in two distinct education systems. In addition, the State invests more money in the Jewish education system at the cost of Arab children who receive a poor instruction and have a high dropout rate. The “strong militarization of the education system”, brought forward by the Committee on the Rights of the Child at the expense of an education for peace, is a system that reinforces to young Israelis, especially Jews, the cycle of indifference and hatred towards Palestinian and Arab children. In the context of the Israeli-Palestinian conflict, we deplore the death of many Israeli children, innocent victims killed by mistake or attacked in confrontations. Some reports establish, for example, that some Israeli school buses were the target of shots and rockets fired from the Gaza Strip by armed Palestinian groups. Sometimes the civil population in Israel is the target, violating the laws of war and putting the lives of children in danger. Despite the efforts of the government and the promulgation of protection laws, many children are victims of violence or mistreatment within their family or in the educational and institutional system. In mindsets, discipline is still often associated with violence. Media report cases of sexual abuse on children committed by soldiers or in prison. The Israeli military and police forces behavior against Palestinian children keeps worrying the Committee on the Rights of the Child. These forces are accused of using Palestinian children as human shields during protests or as informants and to commit acts of torture and extrajudicial assassinations on them. For instance, soldiers pointed their rifle at a nine-year-old child to force him to search into bags suspected of containing explosives. According to UNICEF, the poor physical and psychological treatments of young Palestinians are widespread, systematic and institutionalized in the Israeli military detention system. Physical or verbal violence, humiliation, death or sexual abuse threats, sleep deprivation, wrists and feet tied by chains, prisoner clothing, limited access to water, food and sanitary installations are cruel, inhuman and degrading acts that Israeli forces inflicted on the Palestinian youth, from the time they are arrested to their trial. In violation of the principle of equality and non-discrimination, Israel applies a different judicial system between Israeli and Palestinian children. The first ones are judged by a civil court and the others by the military courts. According to the Military Order 1651, from the age of 12, a Palestinian child is judged responsible for his acts and can be imprisoned up to 6 months; from the age of 16, he can serve the same penalties as an adult. The law was recently modified, transferring the age of adulthood from 16 to 18, but is not completely applied in the facts as pointed out by the Committee on the Rights of the Child it in its 2013 evaluation. In most cases, Palestinian children are charged for having thrown rocks which can cost them 20 years in prison. Palestinian children can be arbitrarily detained for four days before their judgment. Their right to a fair trial is clearly violated; they are rarely informed of their rights and face acts of intimidation and violence forcing them to sign “confessions” in Hebrew, a language that the majority of them do not know. According to a report of The Human Rights Council, around 90% of the children plead guilty in order to escape the poor treatment they are enduring. For children born from foreign parents, it is very difficult to obtain an official existence in Israel. In fact, birth records come up against many administrative obstacles, mostly because the State doesn’t recognize double nationality. Thus, some migrant families have been forced to sign a voluntary return declaration to get a birth certificate for their child. A child having an Israeli parent and a parent living in the occupied Palestinian territories will not obtain Israeli nationality, a significant obstacle for family reunification. Israel considers that children with Palestinian origin living in Jerusalem have Jordanian nationality, when often it is not the case. Many children find themselves stateless which is contrary to the right to the identity guaranteed by the CRC. Since January 2012, the law “on prevention of infiltration” has been applied by Israel. It authorizes Israel to detain for a long time children entered illegally in its territory then expulse them to their country, or to third world countries, even if they risk torture or poor treatment. This constitutes a violation of the Refugee Convention to which Israel is a signatory. With an emission rate of 10.3 tons of CO2 per capita per year, Israel is among the countries that emit the most important pollution. It affects children and their future prospects. Israel must make efforts to reduce its ecological impact.